February 14, 2018, 9:35 a.m.
Indra Nooyi, CEO of Doritos’ owner PepsiCo, suggested the firm had seen data showing that women prefer not to ‘crunch too loudly’ or ‘lick their fingers too generously’ when eating crisps. YouGov Profiles data instead suggests women are in fact more likely than men to be customers of the brand (53 per cent vs 47 per cent). A media uproar ensued. However, a spokesperson for the brand was quick to quash the rumours, stating that “we already have Doritos for women – they’re called Doritos”. 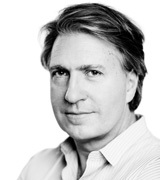 But how has the event impacted on Doritos’ brand perception? 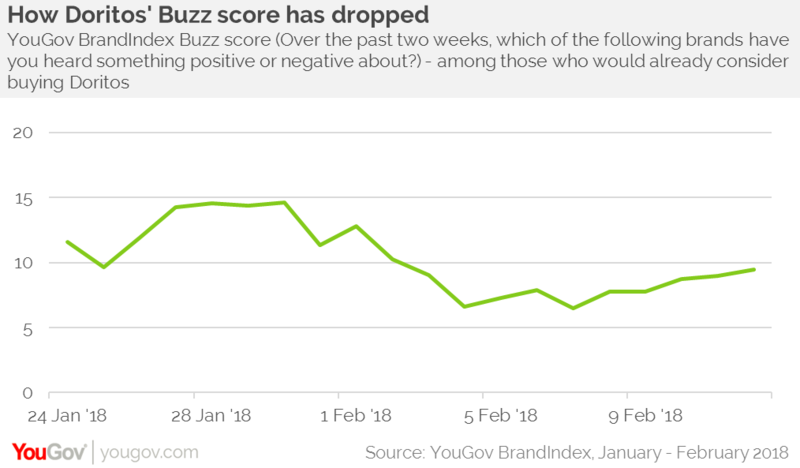 YouGov brand tracking data indicates that among the general population, Doritos has suffered a small hit to its buzz score (whether you have heard positive or negative news about the brand), which has gone from three to one since the alleged move was revealed in the press. However, the affect has been more drastic among women, with its buzz score among this group dropping from three to negative one in the same time period. This is the first time in four years it has had a negative buzz score among women. Among those who would already consider eating Doritos, buzz has also dropped significantly, going from 15 at its peak to seven at its lowest. This negative news has seen Dorito’s impression score (whether you have a positive or negative impression of the brand) drop from 24 to 19 among women, while its score with men has remained around the 20 mark. Despite the bad headlines, our data indicates that the brand’s purchase consideration score has remained fairly static, dropping only two points (20 to 18). Whether the plans to release ‘lady friendly’ crisps were authentic or not, the brand appears to have limited damage to its perception, and avoiding alienating both current and potential customers. In this case our metrics have shown only modest declines that should begin to recover in the weeks ahead.